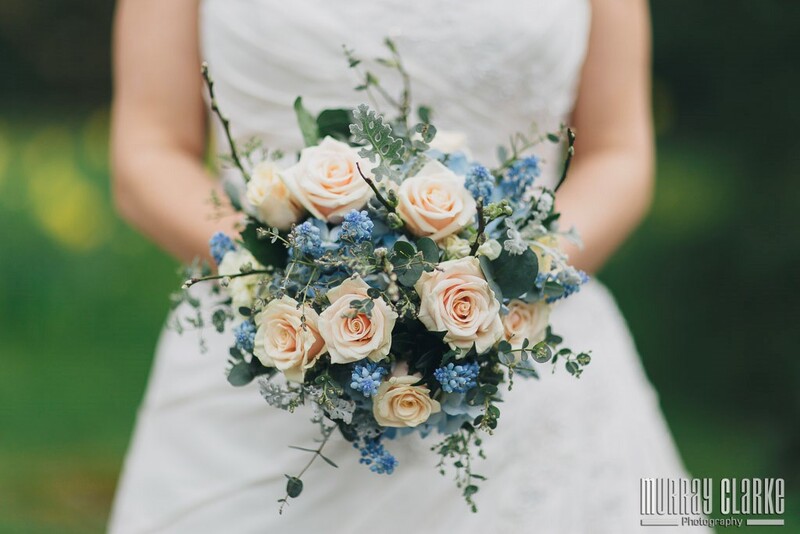 A wedding bouquet is one of the most important accessories of the bridal outfit, along with something old, something new, something borrowed and something blue. It is traditional and essential. 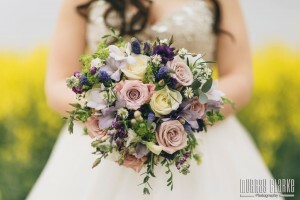 Not only must the bouquet look beautiful, it is a symbol of her life before marriage, will reflect her personality and by throwing the bouquet she symbolically offers one of her bridesmaids the chance to find love and happiness too, because, whosoever catches the bouquet will be the next bride. In times past, catching the bouquet, the bride’s garter or having any piece of a bride’s dress times past was considered extremely lucky. In fact pieces of the dress could be torn off by guests and kept as lucky mementos. 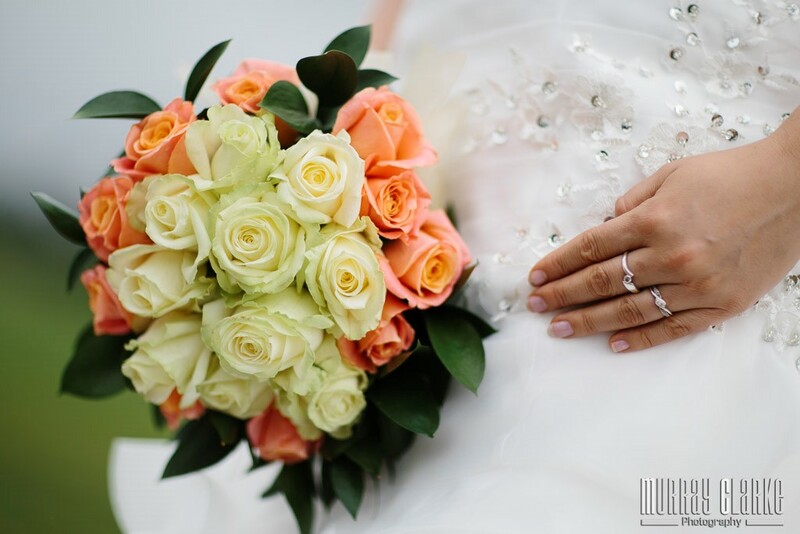 The bouquet should not only enhance the bride, but also serve as a floral theme that will run throughout the wedding. 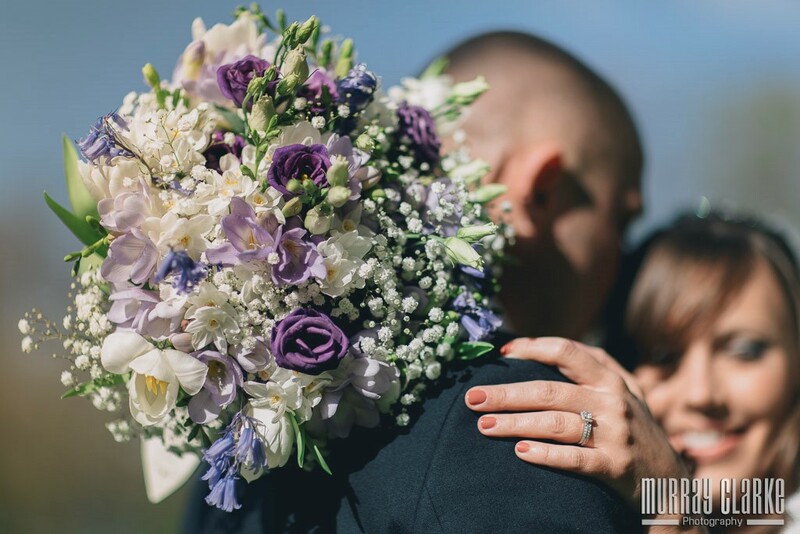 Usually the bouquet flowers will be reflected in the display flowers at the venue either in terms of type or colour, they will also be reflected in the groom’s button hole (and his best man and ushers) in the hair or hands of the bridesmaids and maid of honour, as well as the free standing flowers and table decoration. Careful consideration will have gone into the exact choice of flower, or flowers, along with colour, smell and meaning. For instance, roses are a very popular choice, not only because of the vibrancy of their colour, but for the beauty of their smell and for their symbolic meaning i.e. love. 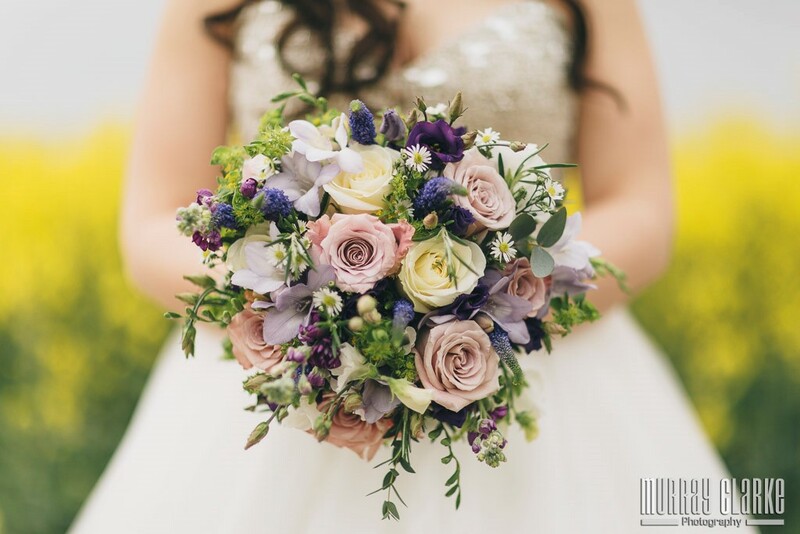 The size of the bouquet is obviously down to the individual but it can follow fashion trends. Princess Diana famously had a large waterfall bouquet, which was then copied by the rest of the country. Queen Victoria’s was a much subtler affair. What is interesting is that all royal bouquets now have a sprig of myrtle in them. Queen Victoria was given a posy of myrtle by Prince Albert’s grandmother when they visited her in Gotha. When Victoria returned to England she had it planted in a wall in Osborne House on the Isle of White, where, apparently, it still grows. Subsequent royal brides have then had a sprig of this myrtle in their bouquets, Victoria’s daughter, Victoria, Elizabeth, Diana, and most recently Kate. In fact, Elizabeth grew her own myrtle from Victoria’s and Kate had a sprig of both sources in her bouquet. So you can see how important meaning, sentiment, symbolism, tradition, and remembrance can be in such a small bunch of flowers. As bouquets invariably reflect the personality of the bride, the more flamboyant the more colourful the bouquet can be. Whatever you choose, will be perfect for you. It is then down to the photographer to ensure he shoots it in the most stylish and attractive way.